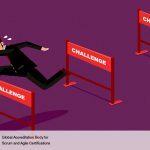 What extent of agility are you prepared for today? What extent of agility can you increase tomorrow? To what extents can you continuously adapt to your ever-changing business climate? 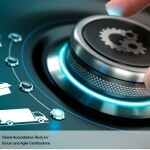 We’re confident that you can boost your current advancement process and obtain a level of agility. If your environment is helpful to it, you may be able to achieve the level of agility. 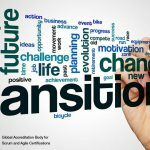 What areas will you become more agile in? The first and the foremost step is to increase the customer involvement unlike any traditional process. In agile, we require customer’s evaluation and consultation throughout the project. decisions. The biggest indirect benefit of customer involvement is the appreciation for delivering the work as per his request. ■ Deliver features in usable subsets. An enhanced agile and iterative procedure provides the freedom to reassess and redirect the project while it’s in motion. We perform advancement in iterations and offer explanations at the end of each development. The client has complete control to request changes based on the explanations, even though this may affect other aspects or even the project timeline. Which Agile Technique or Tool would be the right fit for software development Projects?